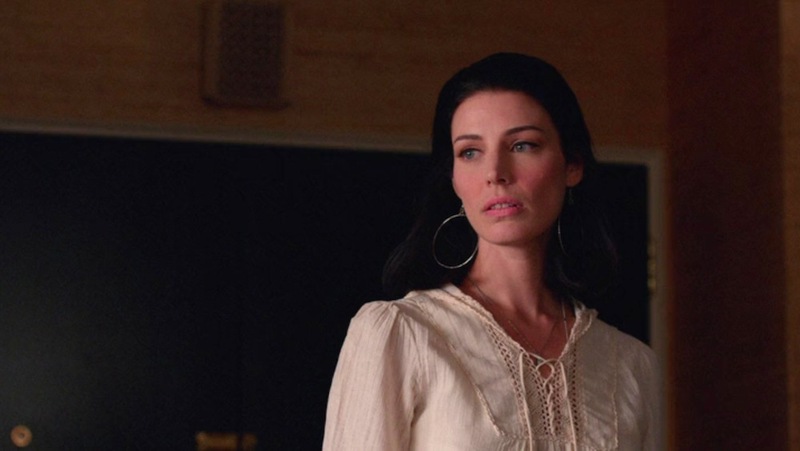 I’ve been dragging my feet a little on my review of this week’s Mad Men, hoping my opinion of it might—if not actually change—at least be tempered by time. But I can’t put it off any longer; all I can do is try to keep it short. For the record—as if it needs saying—I genuinely believe that Mad Men is one of the all-time greats, a masterpiece that will only improve and expand with age. This is not disposable entertainment: this is one of the first genuinely long-form television texts, and the real exegesis of this story will only begin after the show itself comes to an end this May. Judging any single chapter of a work this rich and sophisticated is always going to be a flawed and somewhat futile endeavor. This is all fair game, I suppose: representative of the characters as they’ve been established and of the accepted attitudes of the time. But even here these issues seem more clumsily handled than they usually are. Like last week’s scene in which Joan and Peggy walked into a virtual buzzsaw of blatant sexism at McCann-Erickson, there is very little subtlety or new insight in any of these scenes. Remindful of the sort of heavy-handed era-markers the show sometimes evoked back in Season One, these scenes and dialogue now seem beneath Mad Men, like something the show should have long ago outgrown. However, it soon became clear that Megan was a force to be reckoned with. Remember how she distinguished herself from the other secretaries who fell under Don’s spell, and claimed her own sexual agency? (“Let’s be clear,” she said, before they slept together the first time. “I’m not going to run out of here crying tomorrow. I just want you right now.”) Remember how, throughout much of Season Five—beginning with her explosive performance in “A Little Kiss“—it seemed she was the dominant force in their relationship? Remember how she became a rising star at Sterling Cooper—impressing everyone with her talent and work ethic—and then walked away from all of it when she recognized it wasn’t what she wanted? Remember how she built a life in California, and increasingly resented Don’s intrusion on it? Remember how it was she, not he, who finally admitted—quite amicably—that their marriage was over? “You don’t owe me anything,” she said at the end of that conversation, just two episodes (and a long hiatus) ago. I’m not saying Megan’s was ever the most consistent arc—there were definitely peaks and valleys along the way—but I don’t at all recognize the version of the character who appears in “New Business.” Where did this angry, vindictive, money-grasping woman come from? It’s not that she doesn’t have plenty of reasons to be angry with Don: she does. But there’s no explanation for the sudden venom here, and it’s minimizing her character to have her tell Don “you ruined my life” when autonomy and agency have always been hallmarks of her personality. It’s one thing for character development to happen off-screen, but for a character to devolve off-screen—into a lesser, more clichéd, victimized version of herself—is just a disservice. Especially after the way the show went out of its way last episode to canonize Rachel Menken as “the one that got away,” turning the formerly formidable Megan (in what may be her final appearance) into someone Don seems well rid of is a crime. And then there’s Diana. I’m willing to give Matthew Weiner the benefit of the doubt on where he’s heading with all of this, but, I have to confess, I don’t understand this character at all so far. If we had to go through yet another Don Draper relationship-issues story—and I’m not sure we did—I sort of wish we’d revisited one of the old ones. (I would have welcomed the real Rachel back, or Midge, or Dr. Faye, or the perky schoolteacher whose name I don’t remember because she disappeared and was never heard from again.) Introducing a major new character at this stage of the series is a risky move, and I don’t think it’s working. Elizabeth Reaser is a very good actress, but I feel like we can see her struggling to make sense of this character, who is such a Frankenstein assemblage of projected Don-Draper issues—prostitution, mothers, guilt, class, self-loathing, and running from your past—that there’s little hope of an actual person emerging. That’s not to say that this storyline couldn’t work—and might still—but so far it’s leaving me depressingly cold. Diana’s sadness might be an interesting foundation for a character, but we haven’t seen enough of her besides that to even justify why Don is interested in her, let alone to justify why we should be. She’s not a character yet, just a collection of mismatched issues. Overall, this episode felt at times more like a Mad Men parody than Mad Men itself. So, as promised, we’ll cut it short this week: let’s just call this one a rare misfire, and let’s pray that we get through the remaining five episodes without too many more.